This is an AM blast from the past from November 15, 2008. OK, THIS is totally bizarre... and wonderful. 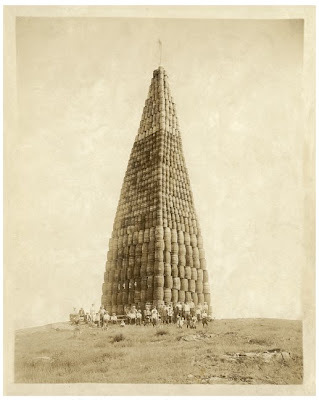 Long before Burning Man was this... a tower of barrels that must be more than 10 stories tall. It's dated 1924, but its the only clue I have. The group of people must be mighty proud of this, how they actually constructed it, is beyond me. This is an art environment or heroic past-time that I can find nothing on, so if anyone has any clues, please let me know. UPDATE: Thanks to my readers there are several possible reasons for this amazing tower. While I would like to think this nothing more than the whimsical efforts of the gentlemen seated below the picture, this appears to be the case of a “bonfire-to-be.” Perhaps because of alcohol prohibition (1920-1933) these beer barrels were slated to be set ablaze. Read on in the “reader comments” for more information, although, most have to do with the impending torching of the barrels. 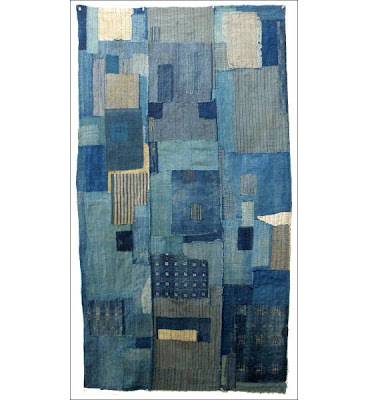 (Above) 19th c. Japanese cotton futon cover called “Boro” made from recycled indigo dyed cloth in patches joined together. Click image for larger view. 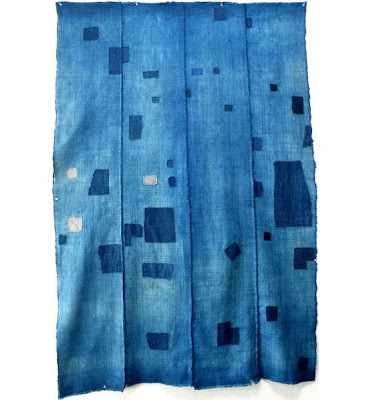 (Above) 19th c. Japanese Boro. Click image for larger view. (Above) Detail of above. Click image for larger view. 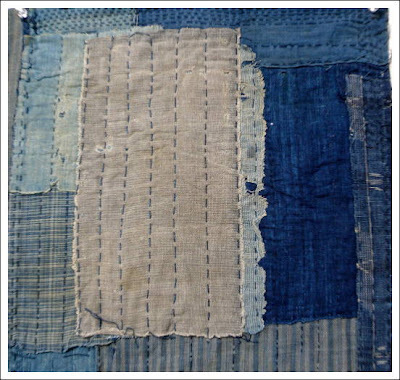 (Above) 19th century Boro textile. Click for larger view. I OWN A SINGLE JAPANESE BORO. IT REMAINS ONE OF THE MOST BEAUTIFUL OBJECTS IN MY COLLECTION. 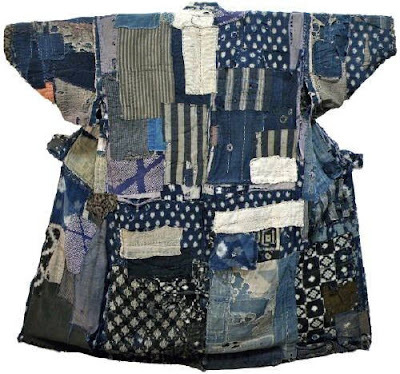 Boro textiles were made in the late 19th and early 20th century by impoverished Japanese people from reused and recycled indigo-dyed, cotton rags. 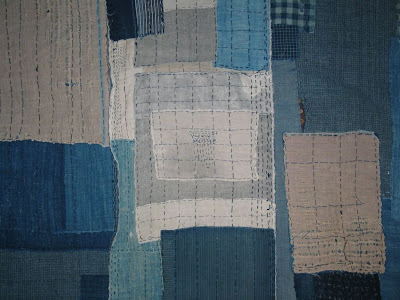 What we see in these examples are typical—patched and sewn, piece-by-piece, and handed down from generation-to-generation, where the tradition continued. 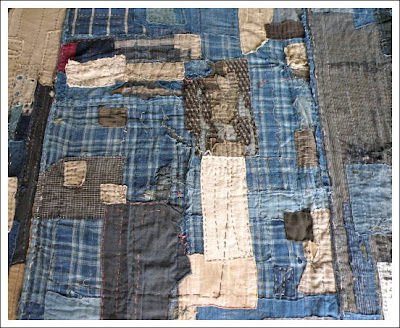 These textiles are generational storybooks, lovingly repaired and patched with what fabric was available. 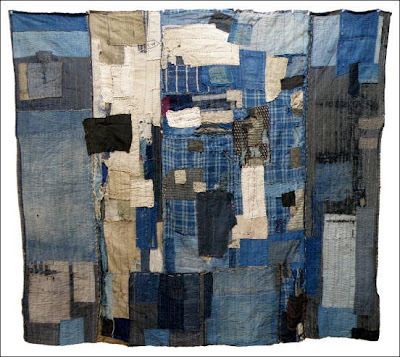 Never intended to be viewed as a thing of beauty, these textiles today take on qualities of collage, objects of history, and objects with life and soul. Objects found at kimonoboy.com, and 1stdibs. 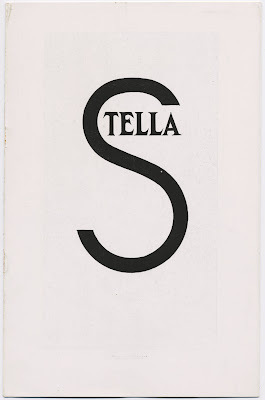 (Above) Stella. New York, Published by Societe Anonyme, 1923. Click for larger view. 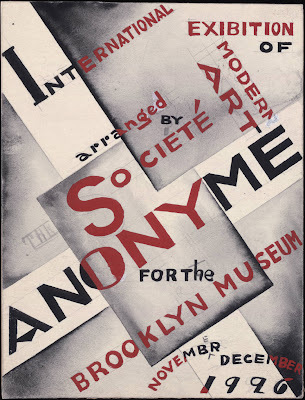 ARTIST AND COLLECTOR KATHERINE DREIER JOINED MARCEL DUCHAMP and Man Ray in 1920 to found the Société Anonyme, an organization designed to support and generate awareness of modernist art; the group’s name, a French phrase meaning “incorporated,” highlighted the fact that the organization was not allied with any particular artistic school. 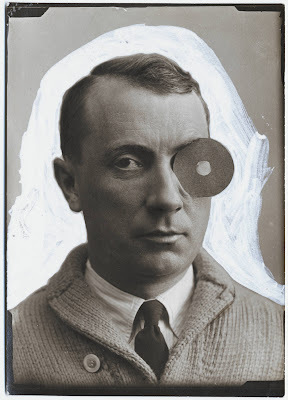 The Société Anonyme promoted new artists by arranging exhibitions to introduce audiences to their work and develop their reputations among galleries and collectors. Critics praised the Société Anonyme for its commitment to new artists and its inclusion of their work in exhibits and catalogs. 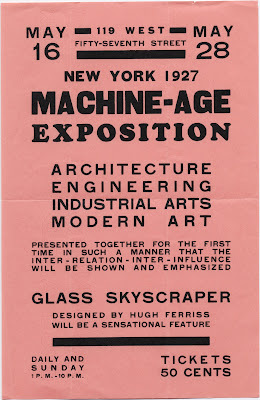 Between 1920 and 1940 they held 80 exhibitions showing mostly abstract art. 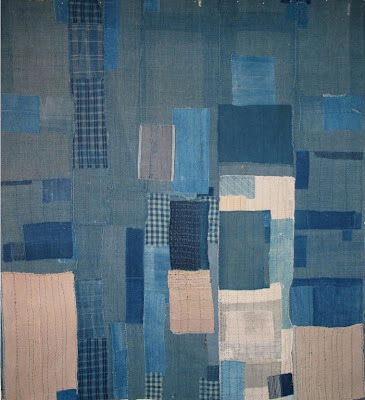 Katherine Dreier played an essential role in generating American interest in and acceptance of modern art. She ran the Société Anonyme’s small gallery, curated exhibitions, and wrote essays and gave lectures in support of modern art. 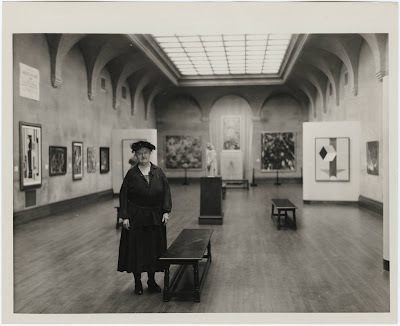 Dreier was also an accomplished painter—two of her paintings hung in the legendary Armory Show of 1913. 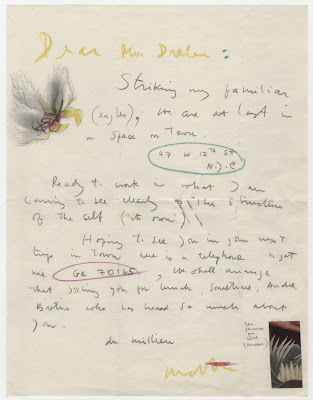 The Katherine S. Dreier Papers / Société Anonyme Archive documents the life of Katherine S. Dreier and the activities of the Société Anonyme. 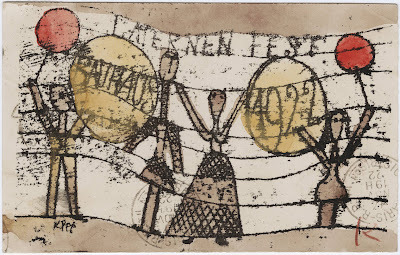 The collection is part of the amazing Beinecke Library at Yale University. 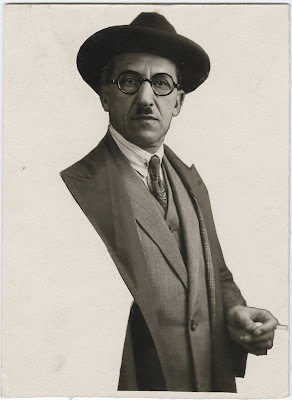 The collection consists of correspondence; manuscripts and notes for articles, books, fiction, and lectures; clippings; brochures; programs; press releases; advertisements; tax records; photographs and artwork; meeting minutes; and ephemera and printed material. The papers span the years 1818 to 1952, but the bulk of the material is from 1920 to 1951. 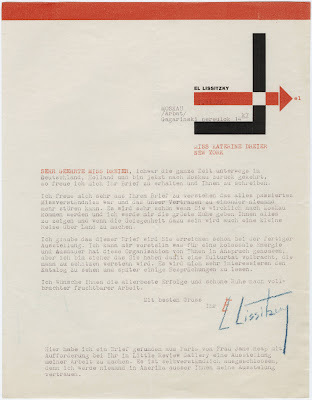 Currently, only a portion of the Katherine S. Dreier Papers / Société Anonyme Archive is available in digital form. 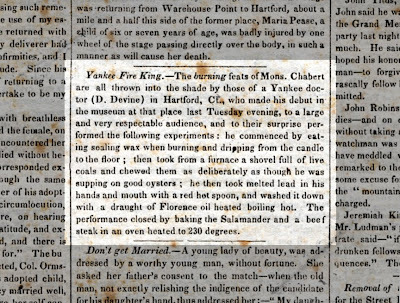 This article, entitled Yankee Fire King caught my eye, buried on page 2 of The Sun, a very old penny daily from New York, dated January 21, 1834. The entire paper is quite interesting, except for the fact that they use 4 point Roman type for the body text. No wonder they all had bad eyes. I found this paper on eBay, and I paid $9 for it. Given the rate of inflation over 175 years, that’s not so bad. If the above article is hard to read on your screen, I will transcribe it for my readers below in a slightly bigger font. The article is about a man known as D. Devine, a Yankee doctor, who apparently performed all sorts of incredible gastric feats by swallowing objects one would normally not want to ingest. The language of people during that period was wonderfully formal— the “King’s English” you might say, tempered with a mixture of dialects from numerous other immigrants of the day. It’s great. This man was just born at the wrong time. I am quite sure he could have made it on the David Letterman Show. No question.